The “Decile 10” review which Lloyd’s is conducting into the performance of its syndicates has resulted in widespread uncertainty in the market. Lloyd’s Performance Management Director Jon Hancock looked closely at the last several year’s profitability of all lines of business that syndicates were writing. There was a stark warning that those lines of business which did not have a clear plan to bring them back into the black would be shut down. So far, there have been multiple casualties, with Advent and the Standard Syndicate placed into run off and several syndicates ceasing to write professional indemnity, construction, marine and direct and facultative business (amongst others). Since the review revolves around profitability, the reductions in revenues implicit in the syndicate’s actions will also necessitate a reduction in underlying expenses. Indeed, Mr. Hancock has also been reported as saying that he would reject business plans for 2019 which do not show those reductions in expenses. When a syndicate pulls out of a line of business, it has little choice but to release the underwriters and other front-line staff who were transacting this work; and much has been written about such high-profile reductions in headcount. The unwritten story is that the expense reduction will likely also lead to uncertainties among the lower profile, back office staff — those people who, for example, are inputting data into exposure management and policy administration platforms and working on claims for those lines of business. There may also be some losses among the general and administrative staff, in areas such as compliance and finance and accounting. But, we understand Lloyd’s is giving them little or no steer about what they might approve in their 2020 plans as those syndicates try to grow their business again. So, does a company hold onto back office staff in the hope they will be allowed to increase their revenues in 2020? Well, most management gurus will tell you “hope is not a strategy,” which means there is likely to be some leakage of talent. But hiring can be a time consuming and expensive undertaking. If the syndicate do get permission to increase their stamp for 2020 it will be painful to bring the required personnel back on board. Those are some of the factors driving demand from syndicates to use managed services providers who can give them the flexibility to increase or decrease staffing support, depending on the level of business. However, some managed services providers are themselves not good at decreasing and increasing staff numbers based on volumes coming their way. Syndicates should look for providers who base their fee structure on outcomes rather than just on headcount. 2019 looks set to be a challenging year for syndicates as they seek to keep costs under control to deliver the profitability that Lloyd’s demands. And there will be further difficult operational decisions to be made later in the year as they try to scale their business up to boost revenue. Internal resourcing need not be one of those onerous decisions. 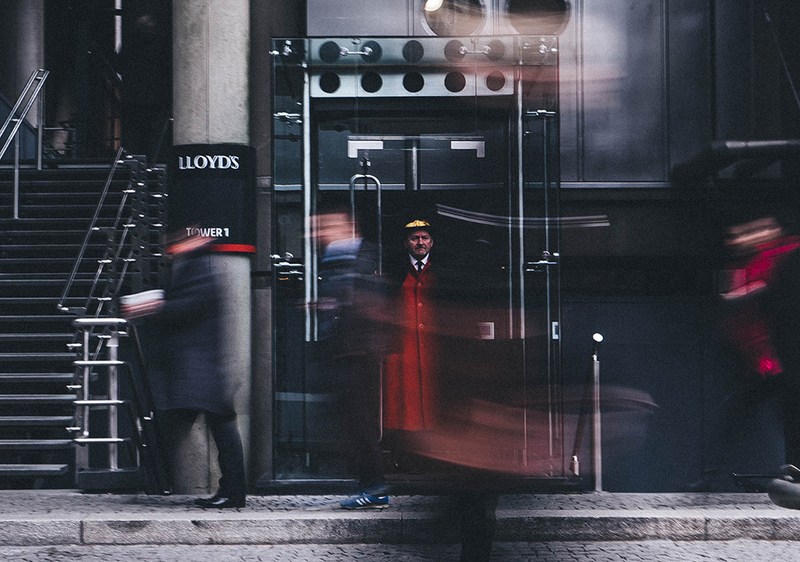 High expense ratios at Lloyd’s have long been highlighted as a major obstacle to doing business and there is widespread acceptance that London must reduce its cost base. Mr.Hancock made clear that Corporation of Lloyd’s is prepared in the short term for a smaller but more profitable market. The crackdown by Lloyd’s is an interesting development, especially considering the downstream effect of pressing syndicates to make some extremely tough business decisions. Justin Davies is senior vice president and EMEA region head at Xceedance.